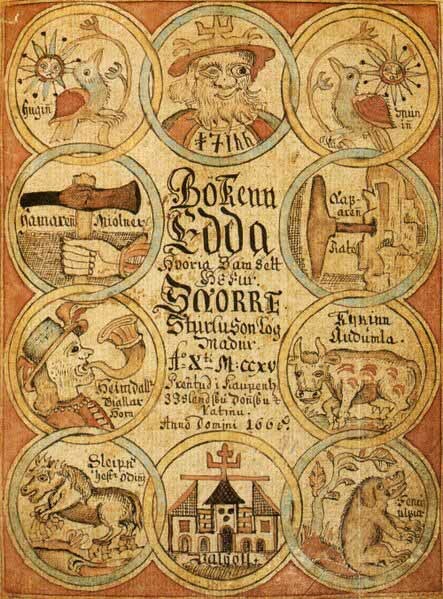 Image: Title page of the 18th century Icelandic manuscript of the Prose Edda. Runes are an ancient symbol system used by Northern European people for writing and divination. According to the Norse mythology, Odin, the chief god of the Vikings, hung from the World Tree Yggdrasil for nine days and nights in order to gain the knowledge of Runes.